Wiley Practice Planner is a monthly subscription per therapist. 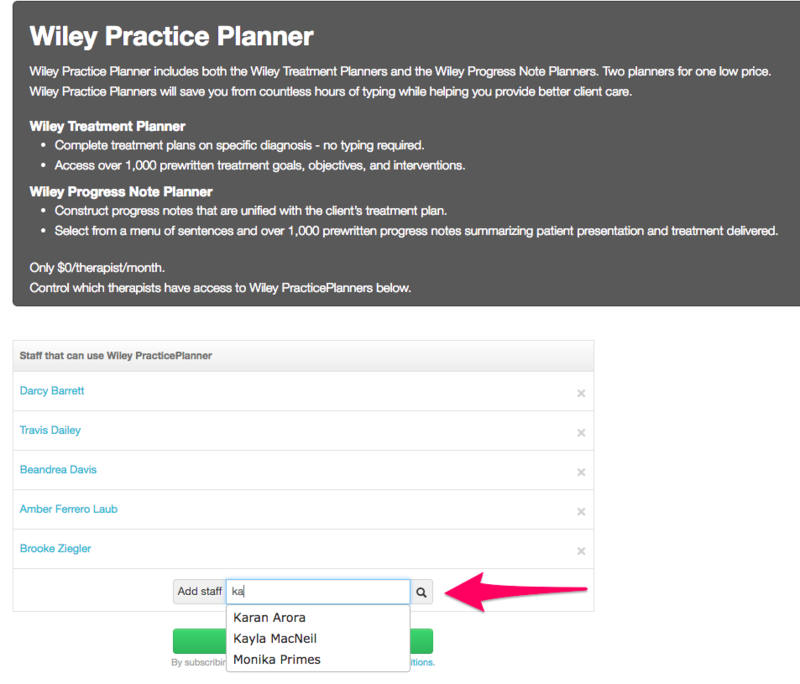 You have full control of which therapists are able to use the Wiley Practice Planner in their account. 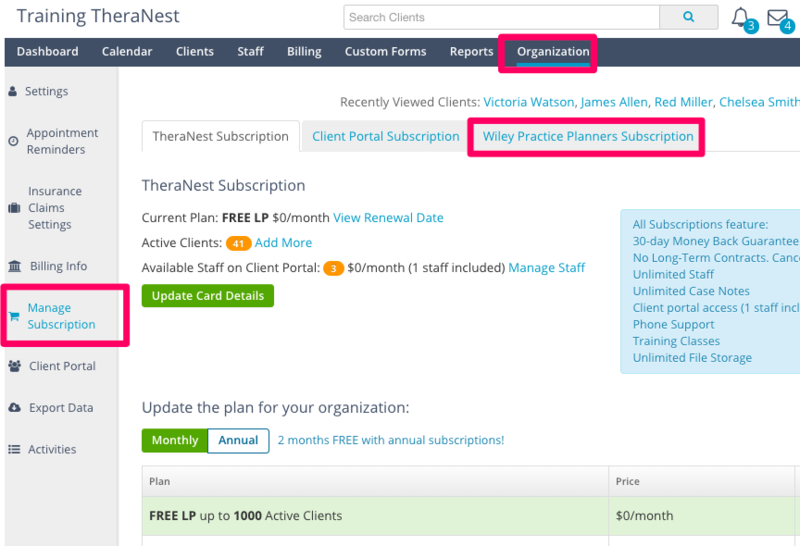 You can control the Wiley Practice Planner subscription on the same page you control your TheraNest subscription. From the tabs on the left click Organization > Manage Subscription. 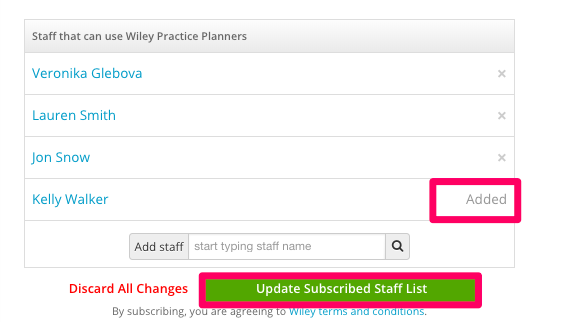 Click the tab Wiley Practice Planner Subscription on the top right. 2. Enter the staff member in the search box next to Add Staff. Select the staff member from the drop down list. 3. The new staff member will appear in the list as "added." Click Update Subscribed Staff List and you'll see the staff member appear in the list. This article and video will walk you through completing the Wiley Treatment Planner in TheraNest.